I have read books from many different perspectives. This is the first time I’ve read a book told from the perspective of a sweater. That made this book very interesting. Sophie is the sweater’s name and she is a Christmas sweater. Her story is told in diary form. The beginning is charming. She describes her family as the “Tree with Pom Balls” family. She is a sweater with a Christmas tree on the front and pom poms that decorate it like ornaments. She refers to other sweater families such as the “Santa Sitting on the Toilet” family. 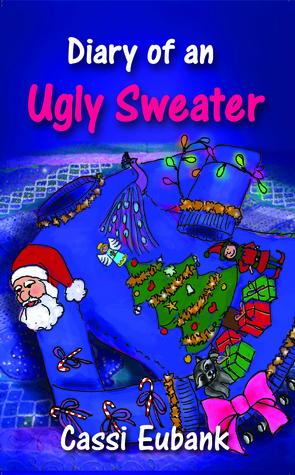 From the different “families” she mentions you get the idea of what each sweater looks like. She addresses issues such as judging others based on looks, attitudes, how to get what you want out of life. This is a unique way to teach life lessons. The story is charming and the lessons are subtle enough not to detract from the story. It is so well written that you can feel the emotions throughout the story. This is a book that is for young and old alike. 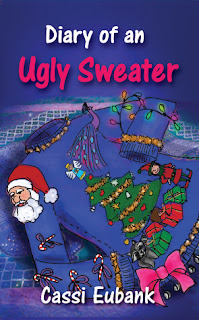 I don’t think I will ever look at an “ugly” sweater the same way again, and never without thinking about this story. This is the perfect read for the Christmas season. Thank you so much Sandra. You opinion as a teacher is especially important to me. I appreciate you more than you know!